It’s important to do some research before deciding on a medical aid plan. Avoid being enticed by bells and whistles like rewards and celebrity endorsements, and instead spend time pouring over the fine print and comparing your options. This may take a bit of time and effort, but it could save you a lot of money and trouble down the line. 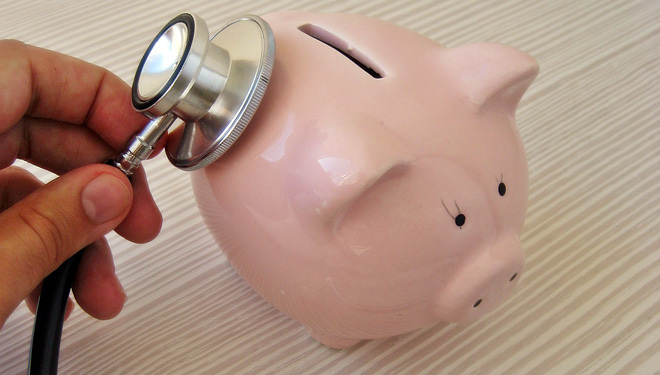 When you’re choosing a medical aid plan, also avoid the common mistakes we list here. It’s tempting just to opt for whichever medical plan is the cheapest. However, it’s a mistake to evaluate plans based just on premiums. When there’s a medical emergency, you could discover that your plan won’t cover your expenses – so rather ensure that the plan you choose provides adequate coverage and is suited to you and your family’s needs. Experts typically recommend comprehensive plans, but the majority of people choose basic coverage options in favour of benefits that drive up monthly premiums. There are certain types of benefits you should aim to secure. A personal accident rider or critical illness rider is imperative to getting medical care when you need it most. Other benefits you might look out for include domiciliary hospitalization, ambulance charges and hospital cash. With a co-pay option, you pay a portion of hospitalization charges and the rest is covered by the medical aid provider. It’s worth considering this type of arrangement. Opting for as little as 10 to 20% co-pay will lower your premium substantially. Spending a little extra time beforehand getting acquainted with the fine print may save you plenty of hair-pulling in the future. As well as evaluating the coverage that’s being offered, carefully review all exclusions in a policy. Many people stick with their medical aid plans even if the plan terms and conditions change in ways that disadvantage them, or other plans offer more attractive terms. Instead aim to stay up to date with the policies of your medical aid provider. Also shop around periodically – compare different plans and providers to make sure you’re getting the best deal you can. Concealing medical facts about yourself and your family from medical aid providers is considered fraud, and is grounds for an insurer refusing to settle any of your claims. Rather be honest at the outset. No matter how popular a particular provider is, you should always check up on its background. Determine the provider’s claim settlement ratio, average turnaround time, solvency ratio, and any other factors you may find relevant. Evaluate the level of commitment shown by the insurer to its customers. With the assistance of online insurance portals that offer medical aid comparison tools and obligation free quotes, there’s nothing to stop you from comparing all your options to find the best plan for you. Doing this is likely to save you time and money later on, as well as ensuring that you have the best coverage for your needs. If you have a doctor you prefer to see, make sure this doctor is in the network covered by your medical aid plan. Visiting medical professionals outside the insurer’s network may result in you having to pay a higher premium. Also consider how extensive the network is. A plan that restricts members to consulting doctors in a local area might suit some, while others who travel frequently may need coverage in more than one city. Different plans cover drugs for different conditions. If you’re ill and know that you need specific medication, you need to make sure that it will be covered by the plan you choose. Often discounts are awarded only if you let your insurer know that you qualify for them. Benefits and discounts vary from one provider to the next, so make sure you know what’s available and check to see if you’re eligible.